Clayton L. Jolly III has over 30 years of experience as a divorce attorney in Augusta, GA and surrounding areas. He has worked on divorce cases involving child support and custody issues. He has also worked on modifying past child support and custody cases. Divorce is an emotional and difficult time. Lean on a divorce attorney that you can trust to provide you with the best legal representation, and who will work to find you the best resolutions. 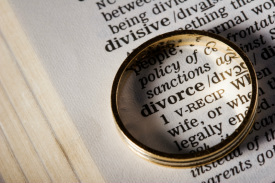 Divorce is a sensitive matter and requires a dedicated divorce attorney.